Nivia marking cones are made up of high quality LDPE plastic . They are used for training purposes in various sports. One set of marking cones contains 6 pieces. 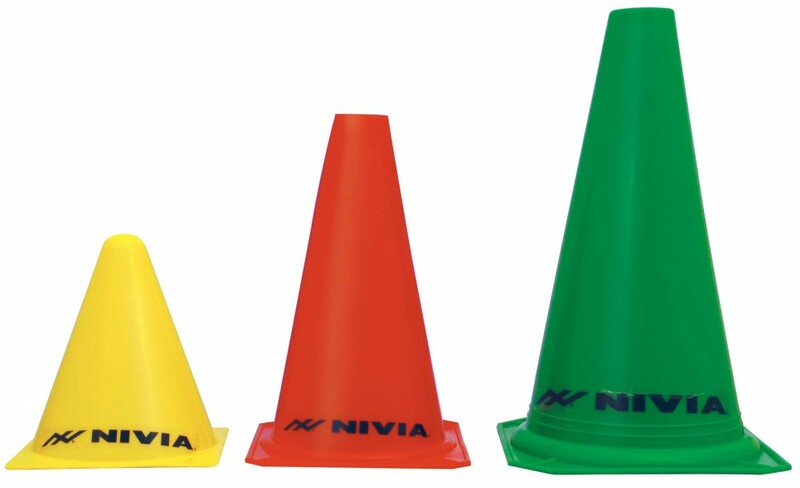 Nivia marking cones are made up of high quality LDPE plastic . They are used for training purposes in various sports. One set of marking cones contains 6 pieces. Also, these pointed cones are available various colours depending on the size of the marking cone. These cones have square base for greater stability with blunt tips. Nivia logo is printed at the bottom of each cone at the bottom, which is looks quite attractive. Nivia marking cone comes in 6inches, 9 inches,12inches and 15 inches.